CHICAGO -- A person was fatally struck by an Orange Line train early Sunday on the South Side, police said. The male, whose age was not known, was struck by an Orange Line train about 5 a.m. near the Ashland Station, 3011 S. Ashland Ave., according to Chicago Police. He was pronounced dead at the scene, police said. The Cook County medical examiner's office did not immediately provide information on the fatality. 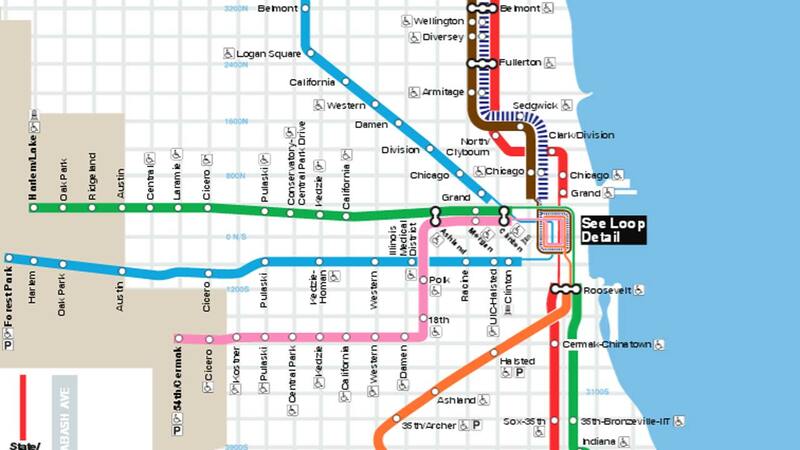 At 6:30 a.m., service on the Orange and Brown lines was temporarily suspended between the Roosevelt and Western stations, according to the CTA. Trains were only operating between the Kimball and Roosevelt stations, and the Western and Midway stations. Shuttle buses were made available to provide connecting service through the area, the CTA said.